I was pleased to know that Tim's enthusiasm for the William Riley know's no bounds. I cannot recall a time when the boat has appeared somewhere without him, save when his other commitments have prevented him doing so. 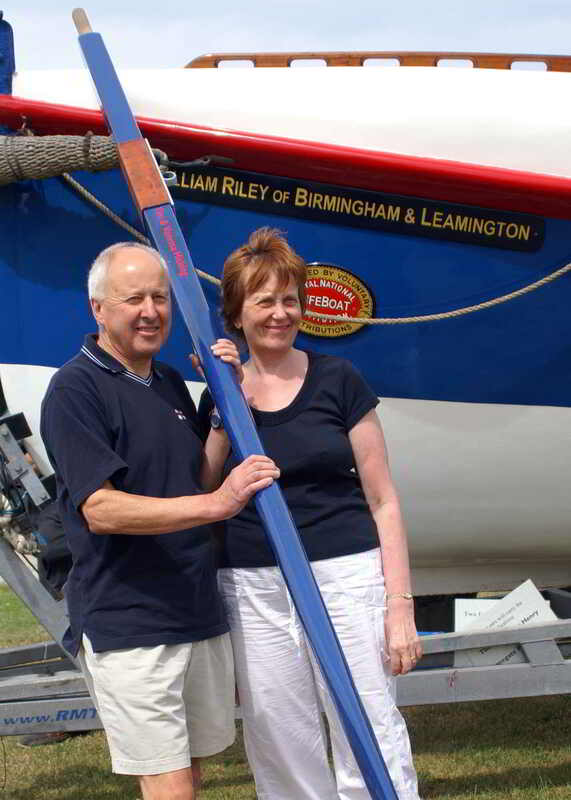 I can recall times when the boat has been placed somewhere on display with just Tim and his ever faithful wife Vanessa there to explain the boats background. To say that Tim has other commitments would be an understatement. The trust has a lot to be thankful for in Tim's unwavering interest in the William Riley. We weren't surprised to learn that Tim was also one of the participants in the sponsor an oar fundraising scheme, so much so that if he weren't I would have been worried.